It's not unusual for teachers to spend over $1,000 a month on health insurance. In the past, Becky Amason rarely worried about making a trip to the doctor’s office — she was covered by her husband’s health insurance plan. But that isn’t the case anymore. Last year was the first time she’d ever been on an insurance plan offered by her employer, Sanger ISD. Like many other teachers in Texas, she chose the cheapest: a traditional plan with low monthly premiums but a high deductible. Those plans often work out for healthy folks with no chronic issues — as long as there are no emergencies. But in December, high blood pressure spikes and sudden dizziness sent her to the emergency room. Her doctor told her she was fine — but the examination alone left her close to $5,000 in debt from out-of-pocket costs. The Texas Tribune thanks its sponsors. Become one. That’s why she was happy to hear Texas lawmakers wanted to give every public school teacher in the state a $5,000 pay raise — just enough to cover her debt. Senate Bill 3, from state Sen. Jane Nelson, R-Flower Mound, would give a raise to full-time classroom teachers and librarians over the next two years, at a total of $4 billion. But that relief could only go so far. For public school teachers like Amason, a $5,000 pay raise doesn’t address a deeper systemic issue with health care in Texas: the burden placed on teachers rather than the state and district. For others, who have health insurance plans with higher premiums but lower deductibles, the raises aren’t much more than a dent in sky-high monthly health care costs. Nearly 430,000 public school teachers in many of the state’s 1,200-plus school districts get their health care coverage through TRS-ActiveCare, which is administered by the Teacher Retirement System of Texas. The Legislature set the program up in 2002, and since then, the state’s been mandated to pay $75 while school districts were required to chip in $150 — at minimum — toward a teacher’s monthly premiums. Districts have the option of paying more, and many do, said Ann Fickel, associate executive director for the Texas Classroom Teachers Association. In 2002, that minimum $225 contribution from the state and district added up to 70% of every teacher’s total health care costs, said Monty Exter, a lobbyist at the Association of Texas Professional Educators. The problem? Lawmakers haven’t increased the minimum. So as health care costs rise, that contribution share has flipped, with teachers now responsible for 70% of their monthly premiums. "As the price of health care has increased and statutory contributions have remained unchanged, the TRS board of trustees has had to make plan changes and premium increases to sustain the program," said Carolyn Perez, communications director for TRS. "The employee share of the premium has more than doubled since the program began in 2002." Exter said teachers would benefit in different ways from the two policy ideas: raising teacher pay — like SB 3 does — and raising the minimum contribution the state pays toward teacher monthly health insurance premiums. Exter said TRS is constantly trying to drive down prices, but it’s limited on how much it can lower health care costs. To really have a major impact, he said, you’re looking at federal legislation, not state. 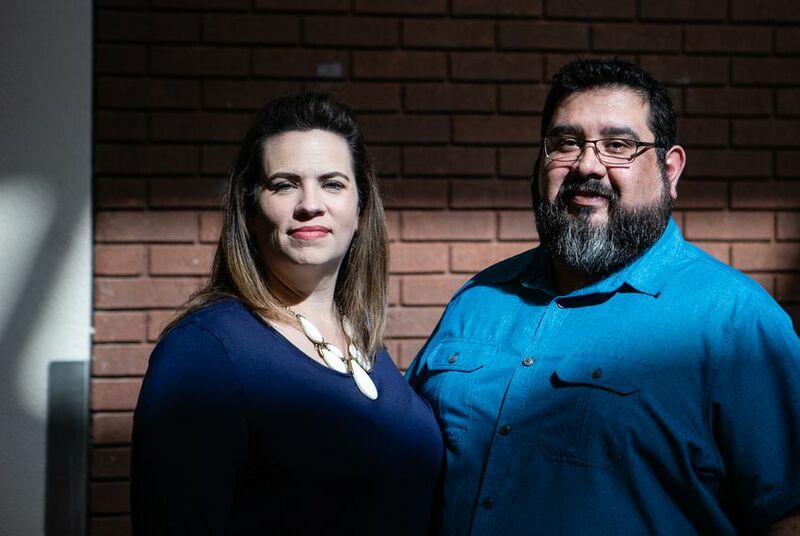 When their son was first born in 2000, it cost Liz and Jeremiah Peña $100 a month to cover his health insurance, and when their daughter was born two years later, the premiums doubled — but $200 a month was doable. “We were like, ‘Well, that’s a lot more than before, but that’s still okay,’” Liz Peña said. Both work for Birdville ISD near Fort Worth, where Liz is an administrator and Jeremiah’s a teacher. Last year, premiums swelled to over $800 to cover vision, dental and health care for Jeremiah and their two kids. Meanwhile, Liz, who has a health issue, is on a separate TRS plan. The costs have taken a toll in the past few years. Their son, who’s 19, attends college at the University of Houston, where it often gets muggy and hot in the dorms during the fall. One night in October, he called his parents feeling dizzy and dehydrated after a few weeks of increasing his workout regiment. He ended up in the ER, but because it was out of their network in Houston, the family owed nearly $4,000 even though all their son needed was a saline drip. That debt from medical costs is far too common for some teachers, Jeremiah Peña said, and it can force teachers to either get another job to make ends meet or leave the profession if the weight gets unbearable. Most school districts, big and small, signed up for TRS-ActiveCare when it was set up in 2002. But there are still some — nearly 10% — that provide health insurance locally because those plans were far more affordable with better benefits than what the state offered. For the districts that signed up for TRS-ActiveCare, there are three plans with ranging deductibles, premiums and copays. For years, most teachers were signed up for TRS ActiveCare 2, the most expensive plan, but those numbers started declining after 2010 as more and more teachers signed on to ActiveCare 1-HD, which is the cheapest plan but carries a deductible of $2,750 for an individual. Because premiums keep rising, teachers can’t afford the higher levels of coverage, Exter said. By 2016, just over 40% of TRS teachers enrolled in the lower-tier plan with low monthly premiums. Some public school teachers, like James Willeford, have opted to look elsewhere for coverage. Willeford teaches in Wylie ISD; he’s worked in Texas for 12 years since moving from Colorado. At first, he settled on a TRS-ActiveCare plan, but his premiums kept ticking up every year, so he eventually opted out. For the past five years, his family of four has been on a private insurance plan through a friend’s company, which offers no deductibles and zero copays, saving him around $400 a month. Amason, the Sanger ISD teacher, lives just 12 miles outside the district in Denton, home to the University of North Texas, where she has friends who are professors or lecturers. It’s always an odd conversation, she said, when complaining to them about her sky-high health care costs. That’s because full-time professors and lecturers at public universities in Texas are considered state employees, so all deductibles and monthly premiums are covered for individuals and greatly reduced for those with families. Public school teachers, however, are not considered state employees. “They call us government employees when it’s convenient, pretty much,” Jeremiah Peña said. For years, TRS-ActiveCare had an additional option for public school teachers who wanted health insurance benefits that were similar in cost to what’s offered to state employees. ActiveCare 3, for most of its existence, had a $0 deductible for care within the network and $0 copays for office visits and prescription drugs. But starting in 2011, it changed to a $300 deductible for in-network visits. The option was eliminated in 2014 after a steep decline in enrollment over the years because eventually so few could afford it, Fickel said. Public school teachers also receive fewer retirement benefits compared with state employees. While a majority of states pay into both a pension plan and Social Security for teachers, Texas is one of only 15 states that just pays into a pension fund. This means most Texas teachers won’t have access to Social Security benefits once they retire. Among states that only offer a pension plan for teachers, Texas is dead last when it comes to funding its pension programs — by a lot. Texas currently pays 6.8% into TRS after years of only paying 6% — the constitutional minimum. The average of what other non-Social Security states contribute is 18%. Changing Texas’ contribution to more than 10% would require a constitutional amendment approved by voters. This year, lawmakers in both chambers are pushing measures that would increase contributions to the pension fund, making it financially healthy. If approved, that would also likely mean retirees would receive a one-time check — up to $500 in the Senate’s proposal or $2,400 in the House’s version. Any help would be welcome news for Liz Peña. 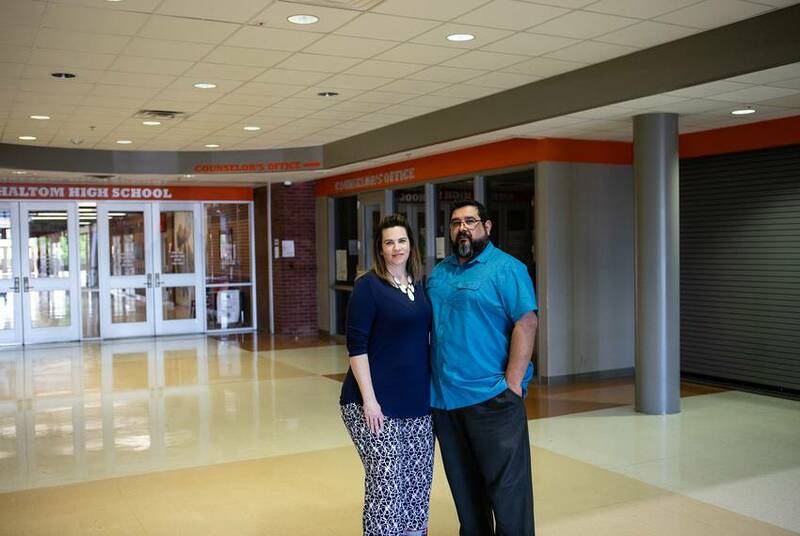 As an administrator for Birdville ISD, she recalls one her department’s “star educators” telling her with tears in his eyes that he had to leave teaching — the only thing he ever wanted to do — because his son’s insulin was too expensive. Nobody’s “eating bon-bons in this profession,” and you truly have to love what you do to make up for the sacrifices, she said. Disclosure: The Texas Classroom Teachers Association, the University of North Texas and the University of Houston have been financial supporters of The Texas Tribune, a nonprofit, nonpartisan news organization that is funded in part by donations from members, foundations and corporate sponsors. Financial supporters play no role in the Tribune's journalism. Find a complete list of them here. Many Texas teachers have second jobs or live paycheck to paycheck. They're anxiously watching the teacher pay debate. Educators have been skeptical of Dan Patrick. Will they support his teacher pay raise plan? Perhaps it goes without saying — but producing quality journalism isn't cheap. At a time when newsroom resources and revenue across the country are declining, The Texas Tribune remains committed to sustaining our mission: creating a more engaged and informed Texas with every story we cover, every event we convene and every newsletter we send. As a nonprofit newsroom, we rely on members to help keep our stories free and our events open to the public. Do you value our journalism? Show us with your support. Join our Facebook Group, This Is Your Texas.